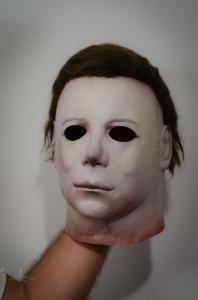 Here’s a look at my brand new James Carter JC NAG 75K H2-style Michael Myers mask! Pics and video! The Fall season is finally here! 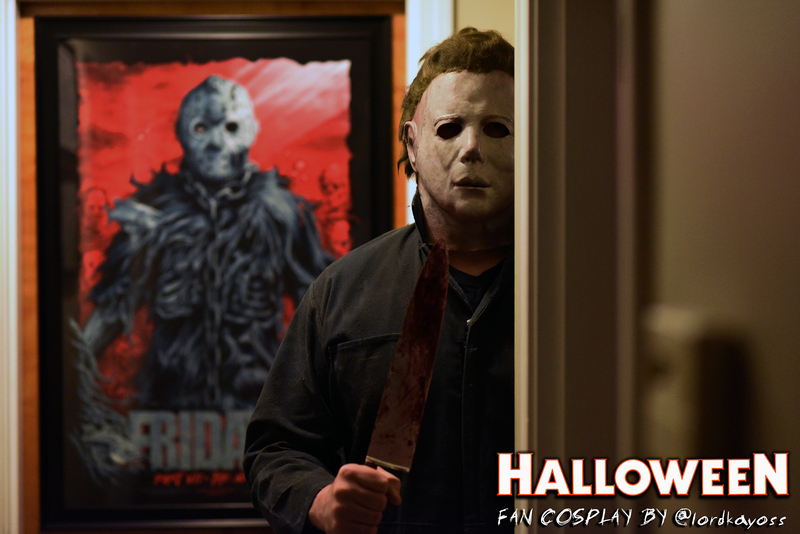 Lots happening this year with the new Halloween movie about to smash the box office. 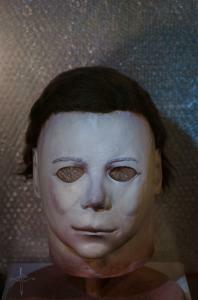 Getting in the spirit, here’s a look at my brand new James Carter JC NAG 75K H2-style Michael Myers mask! 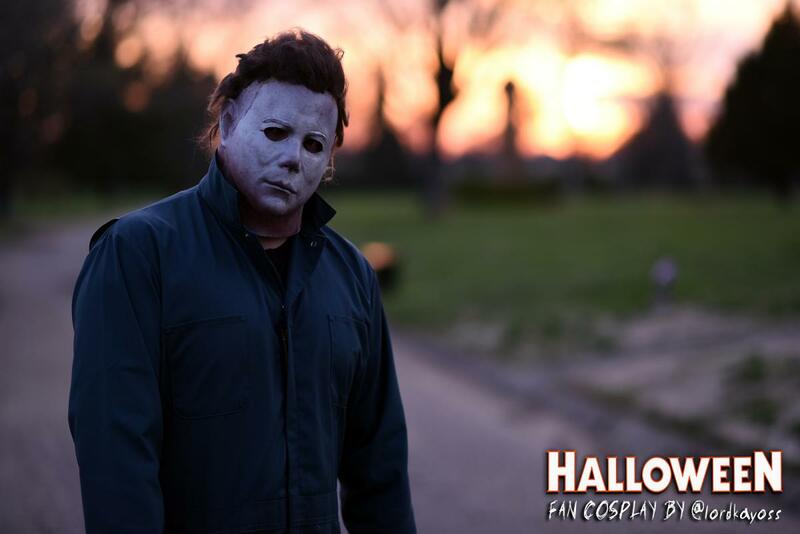 Video contains unboxing/review and full costume worn showcase with high-quality images and a short fan film. 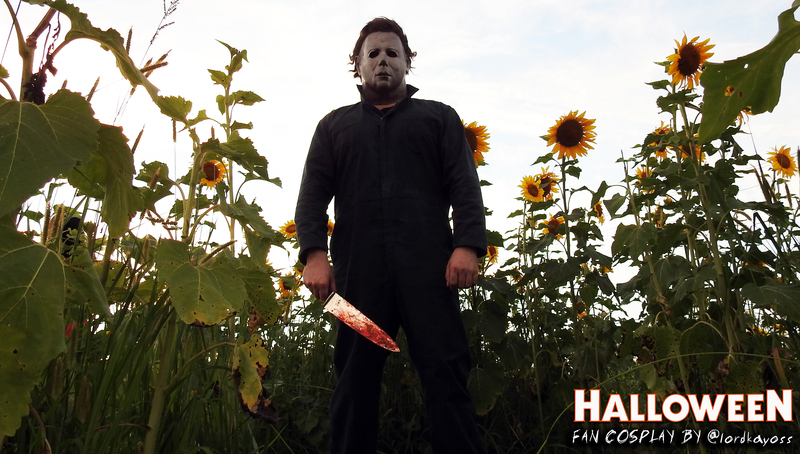 Happy haunting! 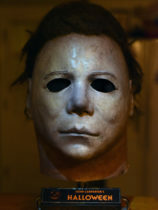 James Carter JC NAG 98 Proto Michael Myers Mask For Sale! 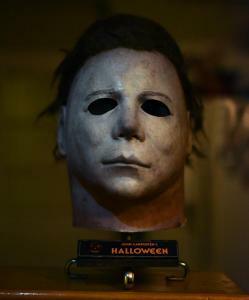 Unbeatable Michael Myers mask! An H1 DREAM! Up for grabs is the highly sought-after NAG 98 Proto, fully converted and finished by the master himself, Mr. JC, James Carter. 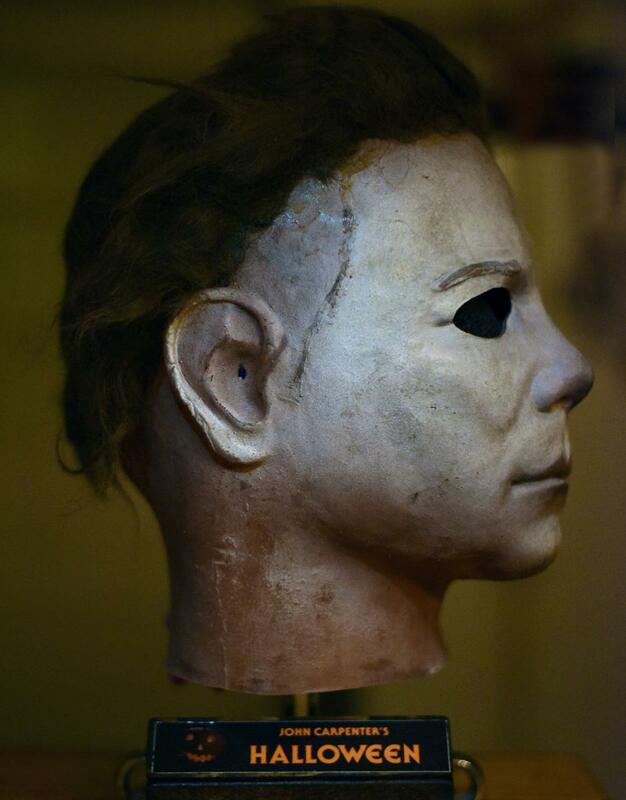 The “98 Proto” is an unaltered casting of the 1998 Don Post Shatner proto, which in itself is a 3D-scanned replica of the original ’75 Kirk used to make the ’78 Michael Myers mask for the original Halloween. Confused yet? Quick summation is it makes for a nearly unbeatable Michael Myers mask when properly converted, which is exactly what James Carter does (in his sleep). This mask was tailored exactly to my specifications by JC; done up in the classic H1 style with grimey weathering. It’s an H1 DREAM! I’m selling only because my noggin measures 23½ inches around the crown, which is exactly the size of the Proto so it makes for a snug fit. When you’re trying to recreate that classic Myers look of the original film you need a little bit of room in your mask to apply what’s known as the Castle stretch, which is essentially simply opening your mouth so that your jaw drops ever-so-slightly to mimic the vertical shape of Nick Castle’s head. Hard for me to do in this mask, though as you can see from my worn shot above, even with the snug fit the mask STILL pulls off the essence of ’78. Pretty impressive especially when considering no other mask I’ve tried on at that size has yielded the same results, including the Night Owl Shat/Creep. If you’re more of a display collector you cannot go wrong with this piece no matter your situation. Per the pics above, it absolutely kills it. If you prefer to wear your mask, any head measuring less than 23½ inches around is going to put you in the conversation for screen-accuracy. *PRICE BREAKDOWN – For those not active in the independent Myers mask trade, you might wonder why the asking price for this piece seems high. Here’s a quick rundown: the price of the blank 98 Proto and conversion/finishing job by JC was right around $600 invested. 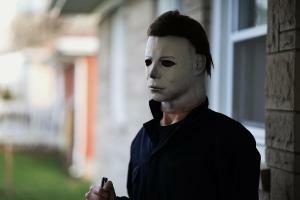 Now, the killer…. 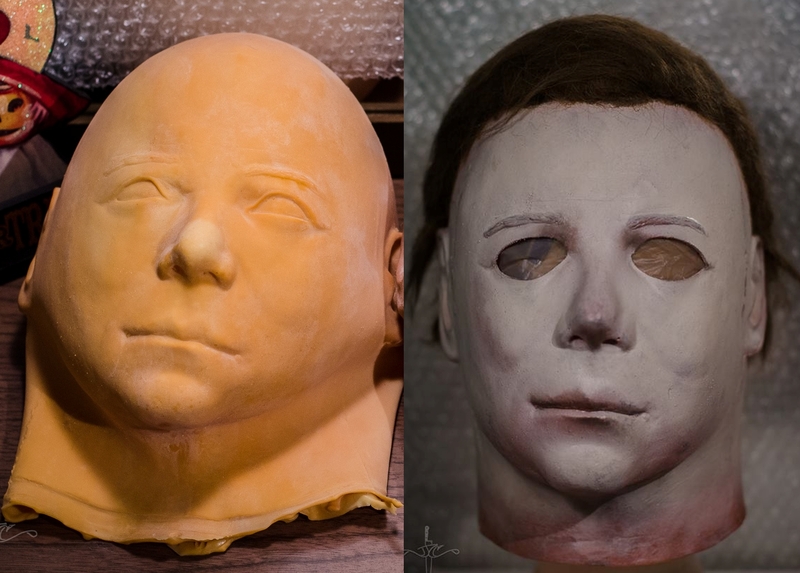 JC’s current wait time to have a mask converted/finished is right around 3½ years, which drives the value of these gems up exponentially. I joined his queue in the Fall of 2014, and my spots with him came up in early 2018. You are jumping the line completely by purchasing second-hand. This piece was commissioned by JC in April 2018, and is like new. I am the only owner. Condition is mint and the inside of the mask has been powdered to fully preserve the latex. 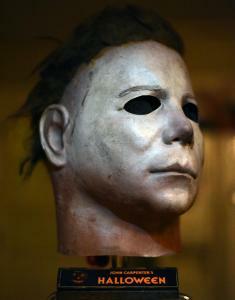 Mask is resting in thin plastic while stuffed with plastic-sealed cotton to fully preserve it’s shape. I guarantee it’s full quality and condition. Lastly, as mentioned above, if you wish to save $48.09, a private PayPal transaction is also an option. Contact me for details. Thanks for looking and happy haunting! How to replace thumb sticks on a new model DualShock 4 Controller CUH-ZCT2. Quick and easy tutorial showing you how to replace analog thumb sticks on a new model DualShock 4 Controller CUH-ZCT2. How to replace thumb sticks on an old model DualShock 4 Controller CUH-ZCT1. Quick and easy tutorial showing you how to replace analog thumb sticks on an old model DualShock 4 Controller CUH-ZCT1. Complete walkthrough on every objective in Single Player Challenges for Friday the 13th: The Game. 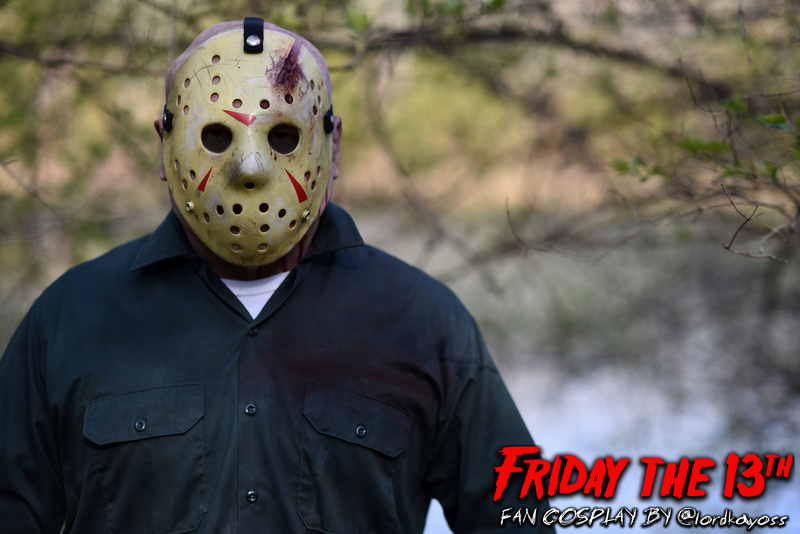 Single Player Challenges have been added to Friday the 13th: The Game! Here is a complete guide to achieving every objective in all ten episodes. Spring? What’s that? Already feels like mid-July in the Ohio Valley (it’s only May). That cancerous ball of radiation is already making its presence felt as a sweltering string of 90° days have blistered the area. Spring? What’s that? Already feels like mid-July in the Ohio Valley (it’s only May). That cancerous ball of radiation is already making its presence felt as a sweltering string of 90° days have blistered the area. Anyone hoping for a nice, mild spring with temps in the 60s and 70s got laughed out of the conversation weeks ago. Sad thing is, summer is technically still over a month away at the time of this publication. Sigh. 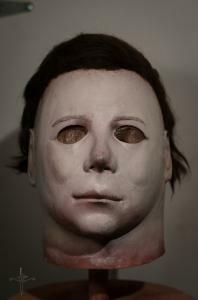 James Carter Night Owl Shat Michael Myers Mask For Sale! 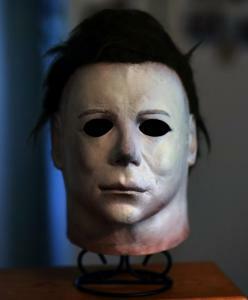 New mask has been posted for sale! 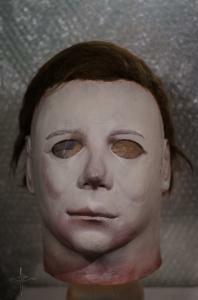 I’ve been getting a lot of emails asking if I have any other Myers masks available. A new one has been posted, and you can view it here, or click the image above. 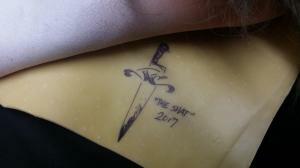 Up for grabs is the infamous NightOwl Shat, fully converted and finished by the master himself, Mr. JC, James Carter. 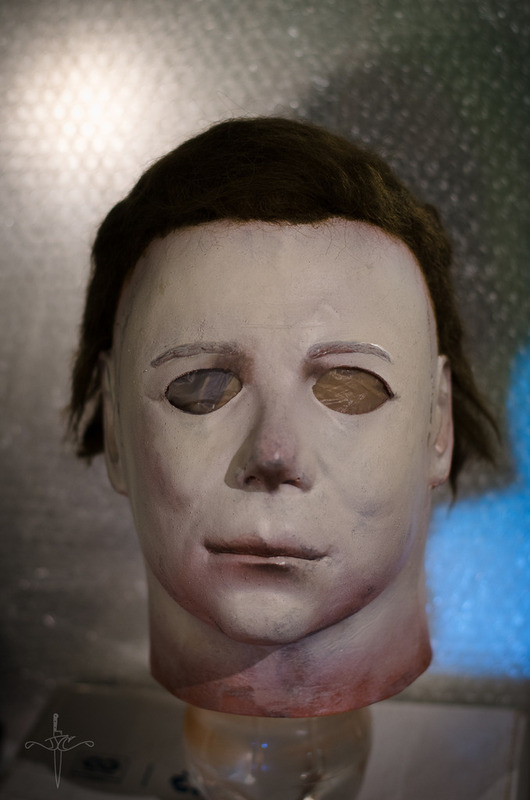 The “Shat” is a replica of the original Don Post Captain Kirk mask that was used to create the legendary ghostly face of one Michael Myers we all had nightmares about after viewing the original 1978 classic, Halloween. This “blank” mask, as it’s often referred to, was sent to indy ace James Carter for conversion and finishing. James follows an extremely similar process as Tommy Lee Wallace performed on the original Kirk conversion in ’78. 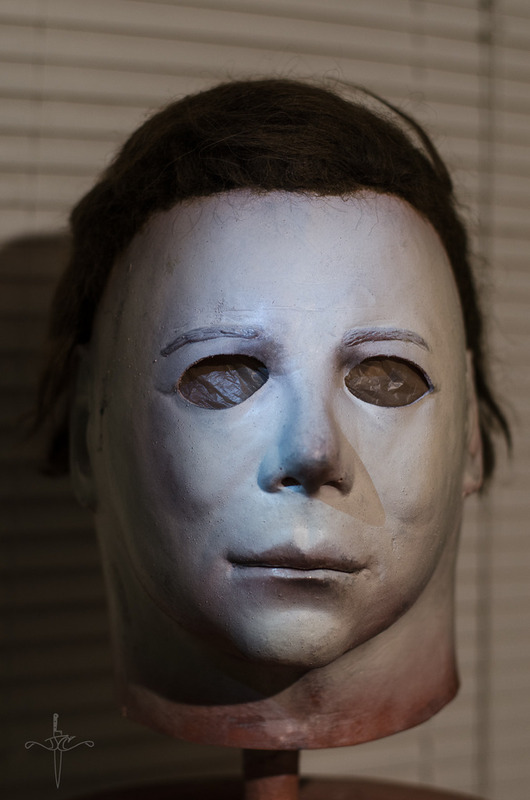 He expertly cuts the eyes and masterfully applies the paint to make it the viscerally ghoulish specter before adding the same type of hair found on the original Don Post masks of the 70’s. 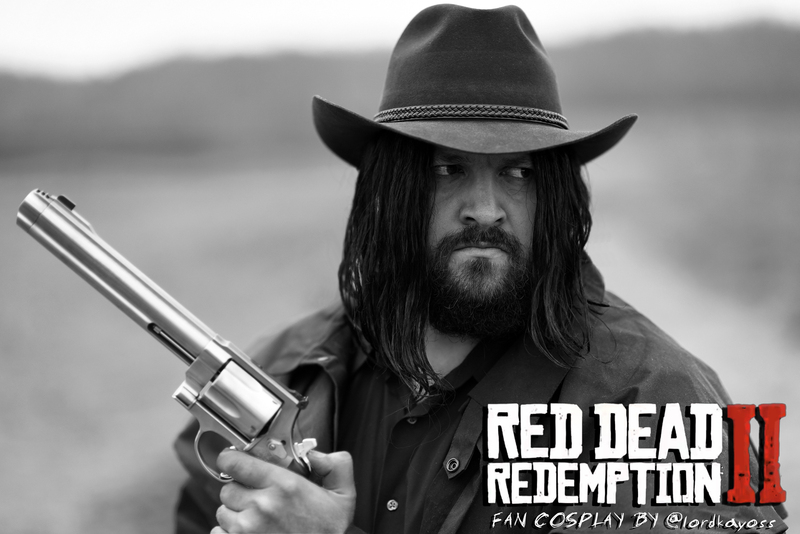 Essentially, the JC Shat is one of the most accurate replicas of the original hero you can own. And here it is, without James’ current 3½ year wait! 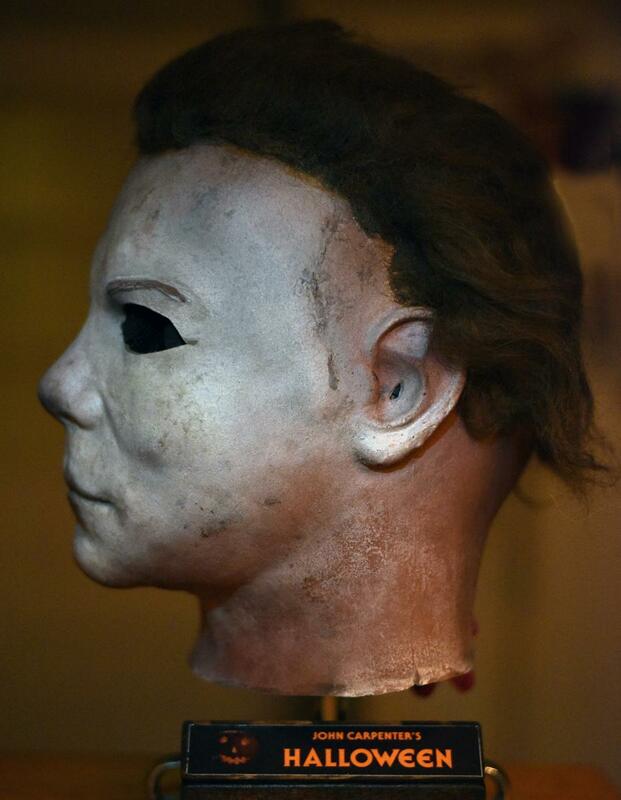 *PRICE BREAKDOWN – For those not active in the independent Myers mask trade, you might wonder why the asking price for this piece seems high. Here’s a quick rundown: the blank Shat was purchased at a price point of $300. The conversion/finishing job by JC was $230. JC’s current wait time to have a mask converted/finished is right around 3½ years. This piece was commissioned by JC in December 2017, and is brand new. I am the only owner. 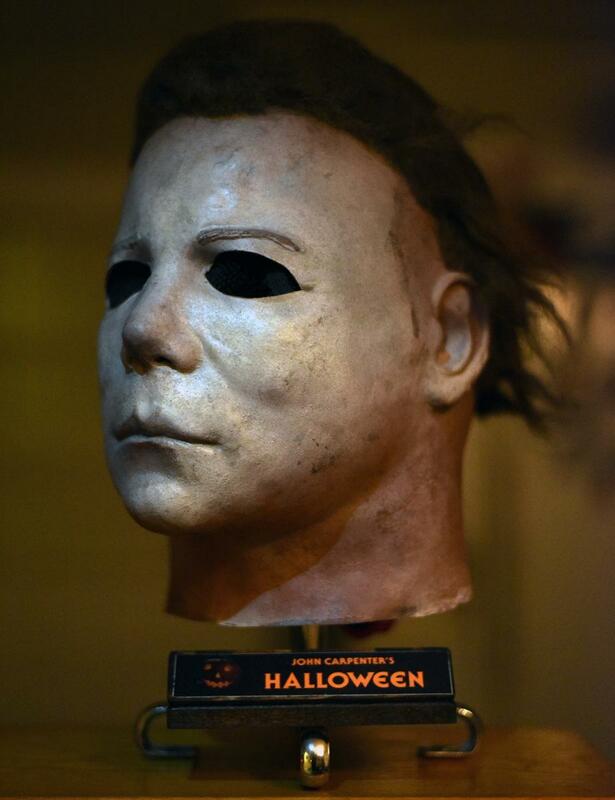 Condition is mint and the inside of the mask has been powdered to fully preserve the latex. Mask is resting in thin plastic while stuffed with plastic-sealed cotton to fully preserve it’s shape. I guarantee it’s full quality and condition. Lastly, if you wish to save $30.18, a private PayPal transaction is also an option. Contact me for details.